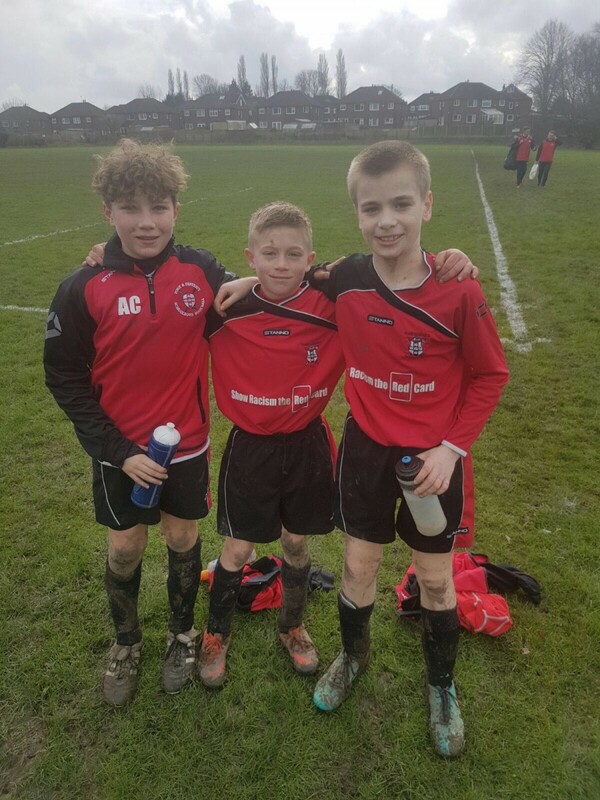 York under 11’s Schoolboys travelled to their fierce rivals Leeds on Saturday the 4th of March, where they began their second phase league campaign. With Leeds finishing 2nd and York 1st in the original league the game was expected to be a closely contested encounter. The stakes were high, consequently the first 20 minute period saw both teams steadily play their way into the game. Chances were few and far between due to resolute defending. In the second period York seemed to notch up the intensity and were beginning to take a foothold in the game. Eventually a cross into the box which was only half cleared by the Leeds defence, fell to the on coming Liam Mainprize who executed a smart finish into the bottom right corner of the net. Shortly after, York’s positive strides were broken as the referee awarded Leeds with a contentious penalty kick. Leeds’s penalty taker calmly slotted the ball home and gave Leeds the momentum. Following this, Leeds dominated for the remainder of the second period without creating any clear cut opportunities. Going into the final period both teams believed they had what was required to clinch the victory. Ryan Evans set York off with a mazy run dancing past several helpless Leeds players, he then threaded the ball through to Jack Whalen who would have likely gone on to score if he had not been deemed offside. York felt this was another crucial decision that hadn’t gone in their favour. Leeds then had a huge opportunity to score in a goal line scramble but somehow York managed to clear and escape what would be Leeds’s last chance. The Leeds keeper then snuffed out York’s final opportunities leaving the score 1-1 as the final whistle blew. The centre midfield pairing of Adam Clarkson and Liam Mainprize were magnificent all game, whilst the defensive line of Ryan Evans, Paul Iggulden and Ben Myers also performed very well as a unit. This result should give York confidence for the remainder of their second phase league fixtures.